With the ever increasing cost of missing teeth restorations in the US and Canada, it is no wonder that growing numbers of people are traveling to avail dental implants in Mexico where these cost only a fraction of the American prices, that too without cutting corners on quality. 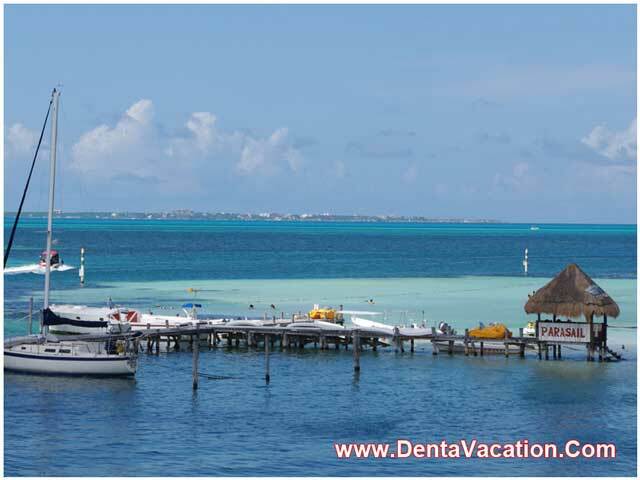 And by opting for dental implants in Cancun, Mexico, patients can not only save a lot in treatment costs, but also get a chance to combine their dental travel with a great holiday experience. A dental implant is an artificial root device generally made of titanium. It is placed into the jaw by a periodontist to support a replacement tooth or a group of missing teeth. Dental implants topped with crowns look like natural teeth and are placed within the bone of the jaw. They can be used to support different types of dental prosthesis, such as dental crowns, implant-supported bridges, and dentures. The cost of dental implants in Cancun, Mexico is up to 30% to 70% less than the prices charged in the US, Canada, and the UK. Top clinics and hospitals providing tooth implant in Cancun are outfitted with the most advanced dental tools, and use the latest techniques and quality material. Dental procedures in Mexico are performed by experienced and well-trained dentists. Many leading dental implant doctors in Cancun, Mexico have received their training and certifications from renowned institutes in the US, Canada, and Europe and several have even practiced there. Waiting times for dental procedures in Cancun are nil or negligible. 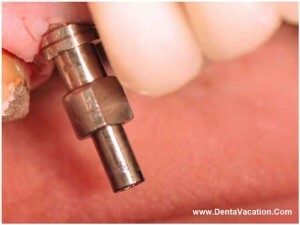 This allows patients to plan their dental vacation as per their own convenience. Low cost and ease of travel, especially for those residing in the US and Canada, make Cancun one of the most popular dental tourism destinations in Mexico. There are a number of airlines that operate frequent flights from the major cities of the US and Canada. To rule out any doubts about getting dental implants in Cancun – Mexico, consult with the prospective dental care providers before going there for the treatment. If you reside in California or other part of the West Coast, consider getting dental implants in Tijuana, a prominent city located near the US-Mexican border, to save on the travel costs. Arizonians can consider the option of getting dental implants in Algodones, which is only about 10 miles from Yuma. Keep an eye on the weather during the Caribbean hurricane season (August to October). If there is a possibility of a hurricane strike, then flights to Cancun can be canceled. Cancun’s beaches are inviting, but some expanses of the coastline with unreliable currents and undertows can pose a grave danger to swimmers. Always look for flags on top of the lifeguard towers. Red flag means it is dangerous to go swimming; black flag means it is even more dangerous. Don’t carry valuables and travel documents with you when going out to explore the city. Keep them in your room’s safety deposit box or reception area safe of your hotel. 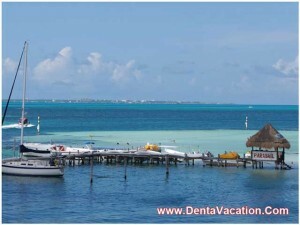 A dental holiday in Mexico offers one the opportunity to avail world-class dental treatments. And with affordable prices of high-quality dental implants in Cancun, Mexico, you are left with no reason not to visit a dental clinic in this beautiful Mexican city. Submit the free request quote form on the right for more information on Dental Implants in Cancun – Mexico.